others! ), it shouldn’t be at the cost of the planet. 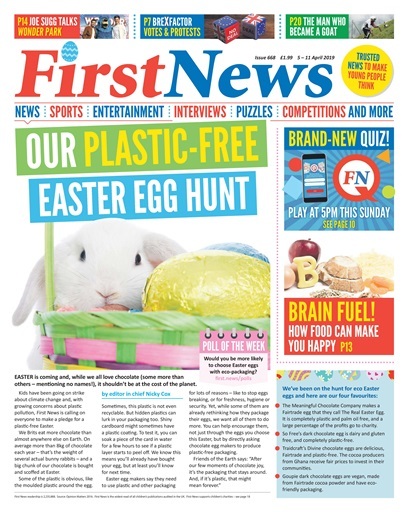 We’ve been on the hunt for eco Easter eggs – find out what we've found on our Front Page this week! 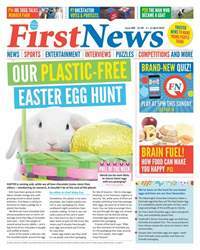 This week's issue also launches alongside FNQ – our new weekly quiz app! Find out all about it on page 10. We're also finding out about the man who became a goat, figuring out what's going on with Brexit, and talking to Joe Sugg about his role in Wonder Park. All that and so much more - inside this week's issue!